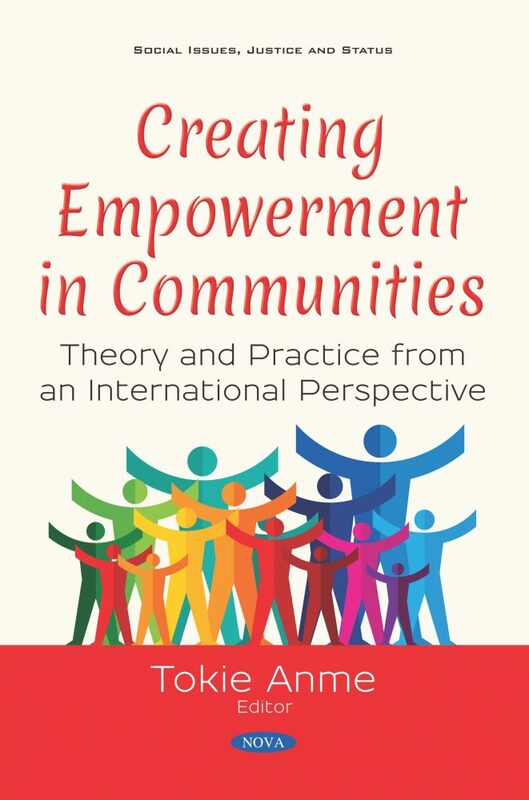 This is a new book that will address the ways in which the theory andd of empowerment can be established and sustained in a variety of community settings and for a variety of target groups, and that may operate at different levels, from individual to societal. In this book, the authors aim to explore and illustrate how inclusive communities can be created and sustained through the development and implementation of empowerment strategies at various levels: Individual, peer, community and societal. The authors utilize the framework of the Dynamic Synergy Model, outlined in Chapter Two, as the context in which we can understand and then actualize the ideals of inclusive communities. In the first two chapters of this volume, the authors outline the concept of inclusive communities, beginning with the initial notion of inclusion, and how that concept has been applied in a variety of settings. They then discuss the topic of empowerment, its theoretical foundations and evolution, including a critique of the concept and the inherent power dynamics of community-based work. In Chapter Two, the authors outline the various levels of empowerment, introduce the Dynamic Synergy Model and delineate a variety of components for establishing and sustaining empowering activities at a variety of levels, in various settings, with evidence or goals for any of the elements outlined for establishing and sustaining empowerment goals with a variety of methods. The authors especially encourage contributions that can illustrate the implementation and/or evaluation of work that exemplifies the Dynamic Synergy Model. Audience: Health care professionals such as Public health nursing, Nursing, Social work, Health Science, Social Epidemiology, Gerontrogy, Child development, Child care and Community design.